While being tops in your field can be exciting, an ambitious or intellectually curious person always looks for new ways to grow. This was particularly true for stripper Gypsy Rose Lee. A national star for years for her creative striptease act, Lee hoped to spread her wings into more respectable and challenging fields. 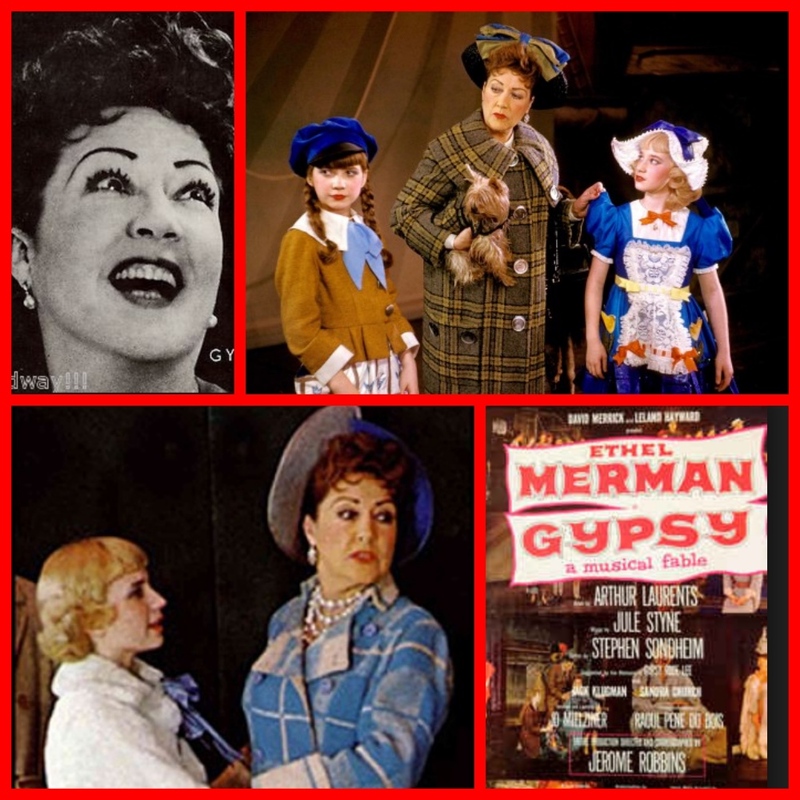 Gypsy Rose Lee’s life story was portrayed in the hit musical GYPSY. Born January 9, 1911, in Seattle to parents John Olaf and Rose Hovick, Ellen June Hovick saw her name changed to Rose Louise when her younger sister Ellen June was born. After her parents divorced, Mama Rose and the girls took to the vaudeville stage. June was the star of the family, supported by her older sister until Louise ran away and got married at the age of 15. Louise gained her first success when a shoulder strap broke on a dress as she performed on stage, and the crowd went wild. She quickly became a headliner, engaging in witty, classy, and creative strip teases, with the act as much about teasing, imagination, and the possibility of more. 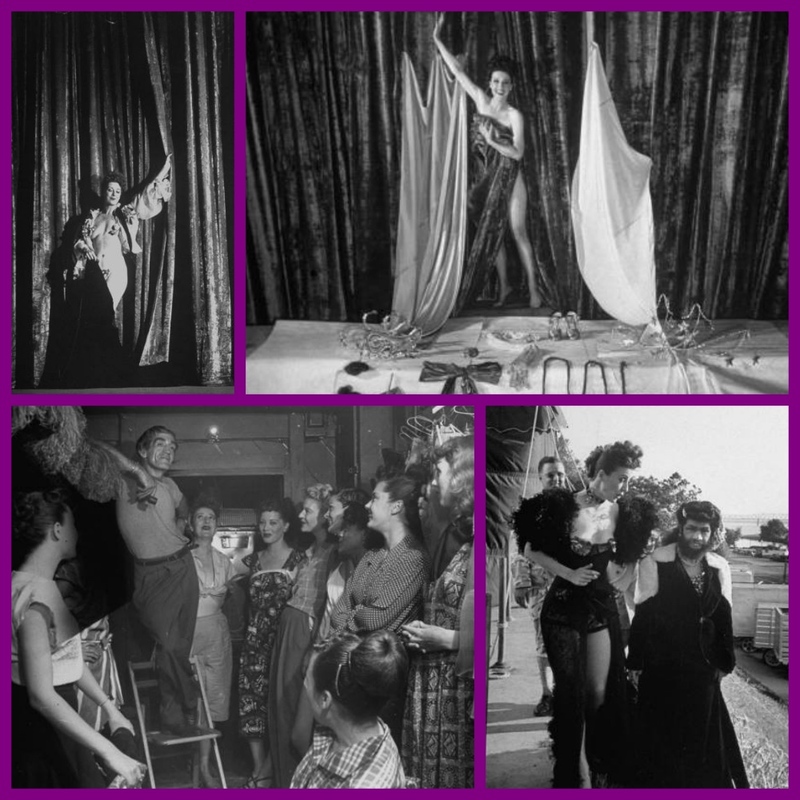 Louise changed her name to Gypsy Rose Lee and began starring in shows at Minsky’s and toured nationally on the Burlesque circuit. She starred in her own show that toured state fairs and bigtime carnivals. By 1937, Lee dreamed of trying new things, like appearing in films. She arrived in Hollywood in the spring of 1937 as a Twentieth Century-Fox signee, looking forward to roles in movies. She told writer Grace Kingsley of the Los Angeles Times on April 25 that at the age of four, she and her sister June appeared in crowd scenes during early Harold Lloyd comedies. Lee also noted that she didn’t take stripping seriously, just took it all in fun. Gypsy appeared in a number of Hollywood movies including The Trouble With Angels starring Rosalind Russell. During the filming of “You Can’t Have Everything,” an organized letter-writing campaign harassed Fox before the release of her film debut, with more than 4,000 letters condemning her and the studio arriving with a week from one Midwestern city. 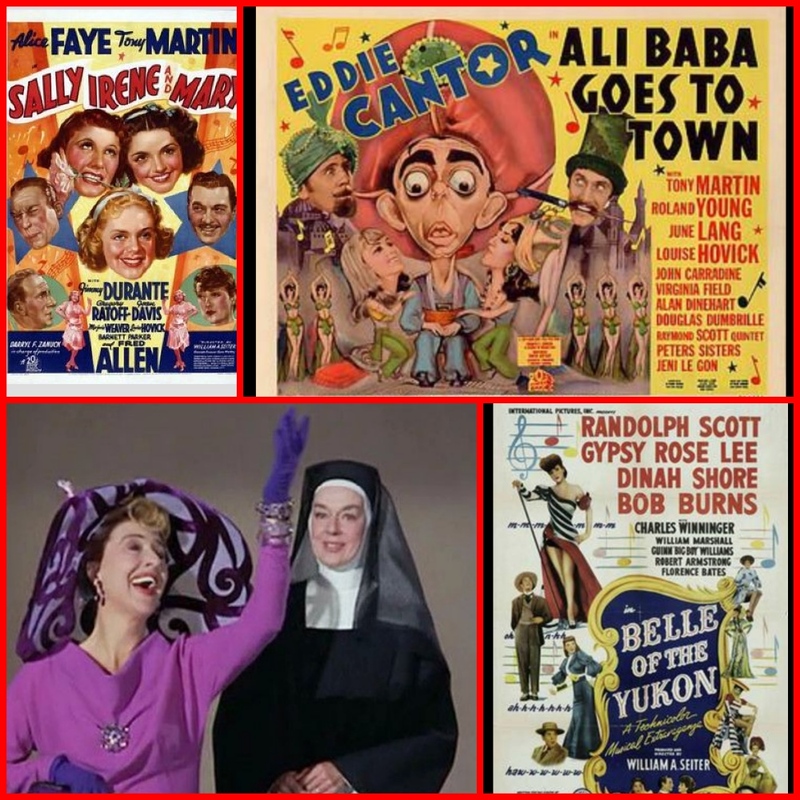 To help ease public tensions, Lee reverted to her real name, Louise Hovick, for her roles in this film, “Sally, Irene, and Mary,” and “The Battle of Broadway.” In all three films, Lee played unsympathetic parts. She would go on to appear in a few more. Lee became actively involved with helping raise money for the poor fighting to survive the Spanish Civil War. In 1938, the Dies Committee summoned her to appear before them in Cleveland to talk about her involvement in raising money for Spanish Loyalists. As she told the Los Angeles Times, “Maybe we did give parties in Hollywood to raise money for poor kids and women in China and Spain. Is that un-American?” Lee continued with her activities, becoming chairperson of the Clothing Division of the Spanish Refugee Relief Campaign. Barbara Stanwick in Lady of Burlesque based on Gypsy’s novel. Mystery novels soared to the top of the charts in 1940, as Americans looked for diverting entertainment from world sorrows and potential war. Lee jumped into the craze, capitalizing on her name and background to pen a story revolving around burlesque shows and stripping called “The G-String Murders,” published by Simon and Schuster. Released October 3, 1941, the book quickly sold, with a sixth printing only a few months later. The book featured Gypsy Rose Lee playing a detective as one by one, showgirls appearing with her are bumped off. The dust jacket of the book stated, “Here is the living portrait of burlesque with assorted deaths thrown in. Here in the G-String Murders is a new brisk literary style, written in her native mascara language by Gypsy Rose Lee–in person. Hollywood showed immediate interest in the book. Producer David O. Selznick, acting for United Artists, seriously considered buying it, with writer Ben Hecht lined up to produce and direct. Instead, his brother, talent agent Myron Selznick, helped former MGM producer Hunt Stromberg set up his own independent producing company and organize financing to purchase the property as his first indie production. Selznick interested client, director William Wellman, in the story, with Stromberg, immediately signing him. Gypsy Rose Lee told the press in the spring of 1942 that her sister June Havoc would play the lead, but Barbara Stanwyck was soon signed to star. Gypsy starred in her own stage show which toured the USA playing a major State Fairs. Her son traveled with her. A “bevy of blondes” were inked for roles, including Gloria Dickson, Iris Adrian, and Marion Martin. Newcomer Michael O’Shea landed the part of Stanwyck’s love interest. Ironically as filmmaking started, New York Mayor Fiorello La Guardia shut down burlesque shows in his city. 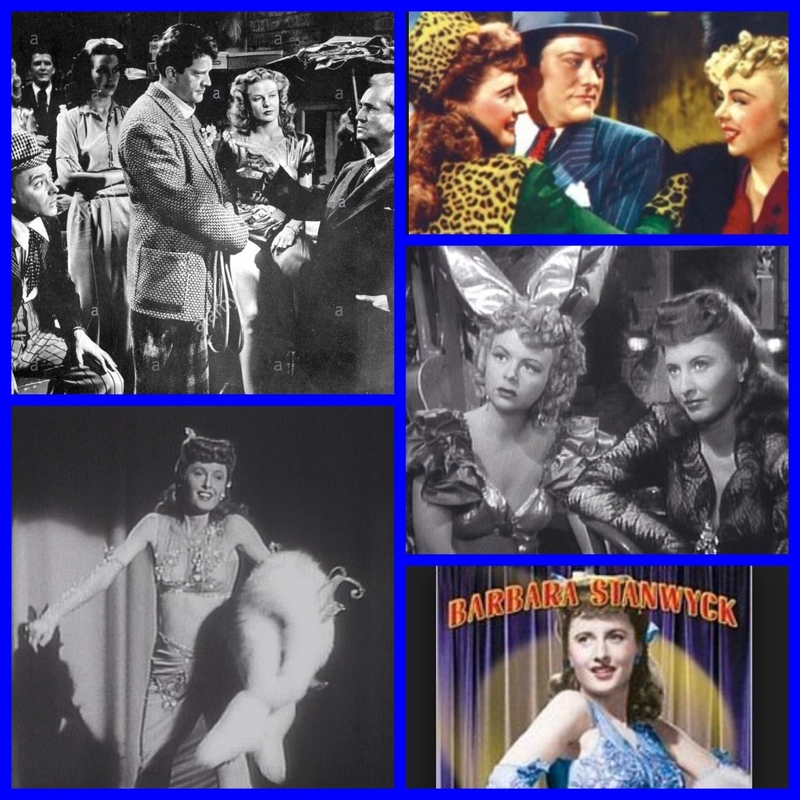 With the story taking place behind the scenes of a burlesque show, music and songs were added, including the song “Take It Off Of the E String, Play It On the G String,” sung by Stanwyck in the film as she performed modest bumps, grinds, and stripteases. The song became a hit and helped earn the film an Oscar nomination for Best Music, Scoring to Drama or Comedy Pictures. “Lady of Burlesque” was released in 1943, playing at Grauman’s Chinese and the Carthay Circle among other theatres. Edwin Schallert said, “It is a film that reflects class in its casting and general presentation, and is remarkable in the number of new people it introduces.” He considered the background and musical numbers the highlight of the film, with an okay story backing them up. Stanwyck, as usual, was noted for a fine portrayal, something very different from her usual roles. Thrifty Drugstores even sold paperback versions of “The G-String Murders” for 49 cents to tie-in with the release, playing it up in their weekly ads in the Los Angeles Times. The film is an interesting curio of how fame often leads to synergistic entertainment deals, some that actually produce fun and well-crafted work like this one. 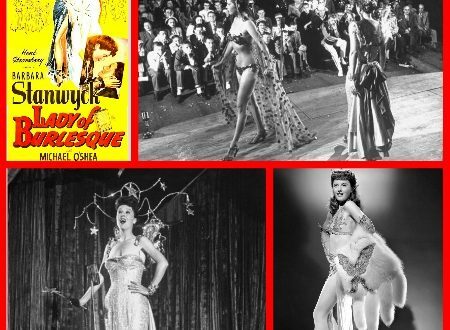 Naked ambition – Gypsy Rose Lee was the most famous stripper in the world. 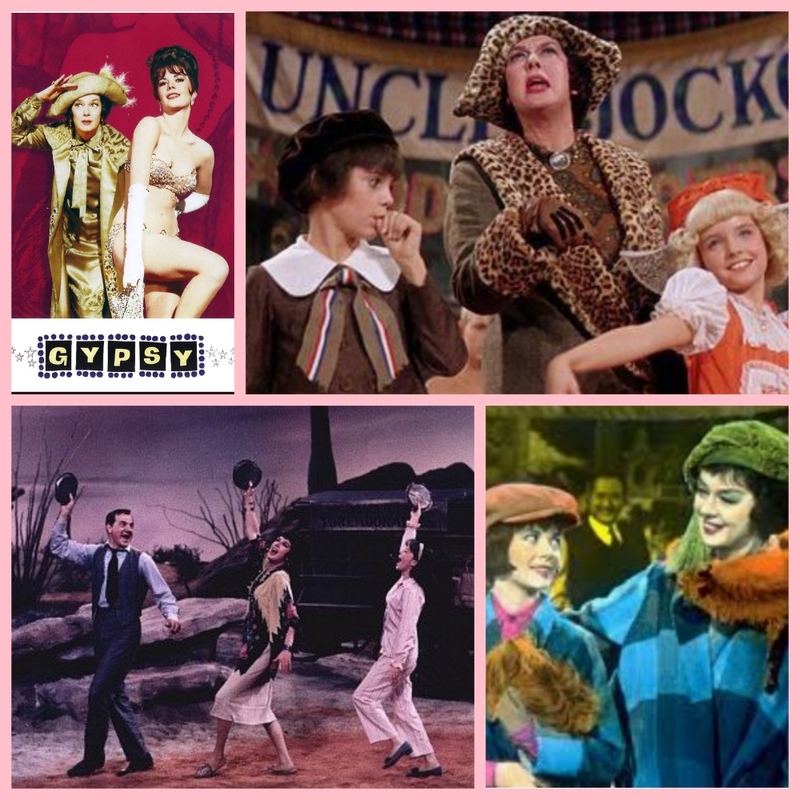 The movie Gypsy starring Rosalind Russell. No one wanted to make a musical about the stripper Gypsy Rose Lee – until they heard about her mother. In 1957 Gypsy Rose Lee was riding high. She was the most famous stripper in the world, she had just published her memoirs and the Broadway producer David Merrick wanted to make a musical about her. Perhaps most importantly, she had made enough money to do up her bathroom in black and gold, with a matching bathmat and toilet-seat cover in mink; it had, she thought, “a Renaissance quality”. Her career began in smalltown burlesque theatres where men, attracted by spielers yelling “Like a banana, watch her peel”, brought newspapers, cushions, bags of pickles, celery tonic and garlic salami. But in the 1930s she hit the big time and started headlining Minsky’s, the ritziest burlesque theatre in the US, where ushers in French-maid outfits sprayed the audience with perfume. Gypsy touring in the late 1950s. 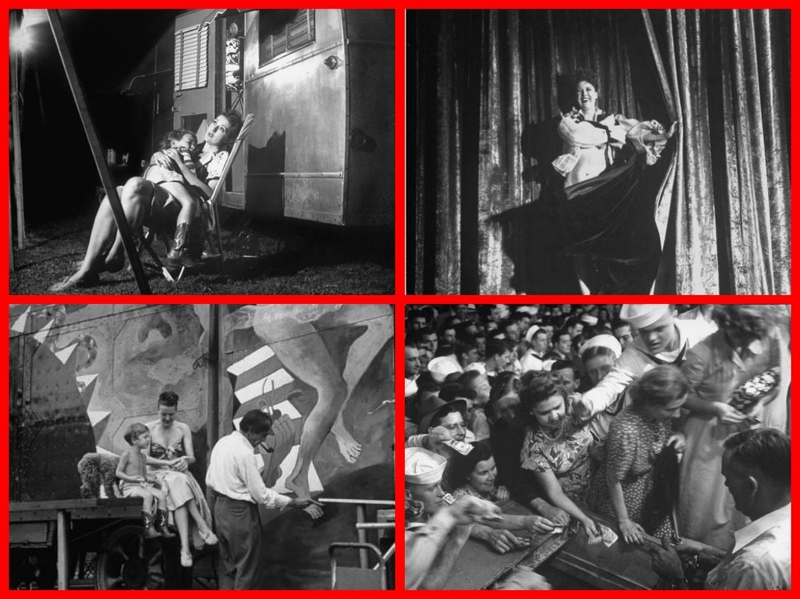 The theatre’s press agent put out a statement declaring, “Strip teasing is pure American art,” to which Lee’s rival June St Clair complained: “Gypsy’s work isn’t art. She’s fooling the public. Why she doesn’t even strip.” For the New Yorker, however, Lee was “a must for those who feel better with their eyebrows raised”. Lee had never made it into the legitimate theatre, but she had long been an inspiration to Broadway. In 1940 Rodgers and Hart wrote a song about her in their musical Pal Joey: Zip! satirizes “a broad with a broad, broad mind” who spouts Schopenhauer while she unzips (disregarding the fact that Lee shunned zippers as “common”). And six years later, Jacqueline Susann, the pill-popping author of Valley of the Dolls, appeared on stage as ladylike stripper Fudge Farrell in Charles Raddock’s comedy Between the Covers. Laurents may have used Gypsy’s name for the title, but his musical is dominated by Lee’s monstrous mother. His “fable” tells the story of gawky, talentless ugly duckling Louise Hovick, who is forced on stage by her mother Rose, and blossoms into star stripper Gypsy Rose Lee. It has a talking cow, dancing girls and a song called Have an Egg Roll, Mr Goldstone. The lyrics came from Stephen Sondheim, who also coined the phrase “everything’s coming up roses” for the show. The musical is regularly revived. Next week, a new production opens on Broadway, directed by Sam Mendes, with Bernadette Peters as Rose – a role originally created for “Broadway belter” Ethel Merman. Before he had finished writing, Laurents took Merman for dinner and warned: “This woman could be considered a monster, and I want to know how far you are willing to go.” Merman was game for anything. Laurents’s Rose doesn’t engage in defenestration but she does lie, cheat and steal, singing “Goodbye to blueberry pie,” as she goes. The real Rose came from a long line of feisty women. According to family myth, her great-grandmother, stranded in a blizzard in the Sierra Nevada, survived by cannibalizing the members of her family who had died of cold. In 1910 Rose married, straight out of convent school. She saw her daughters as tickets out of domesticity. Her first, Louise, had no talent; even so, she had to sing for her supper on vaudeville stages, or be designated “excess baggage”. With her second daughter, Rose struck lucky. At two, Baby June was billed as “the Tiniest Toe-dancer in the World”, then “the Pocket-sized Pavlova”, then Dainty June, “the Darling of Vaudeville (Reg. US Pat. Off.)”. Finally, she became the successful actress June Havoc. In an attempt to evade child labor laws, Rose forged their birth certificates so many times that Havoc thought she was 13 (she was probably nearer 16) when she eloped with a dancer, leaving behind her mother, the lies, the lisping act and the rhinestone finale dress that didn’t fit anymore. She also gave Louise some good advice: “In this business, talent don’t count for a hill of beans.” It was music to her ears. Next stop was another burlesque theatre in Toledo. The star stripper had hit a hotel manager with his own inkwell and landed up in jail. In what became the musical’s most chilling scene, Rose suggested that 17-year-old Louise take the star’s place. Apparently, mother reassured daughter that she wouldn’t really have to strip, just “walk around in time to music and drop a shoulder strap”. 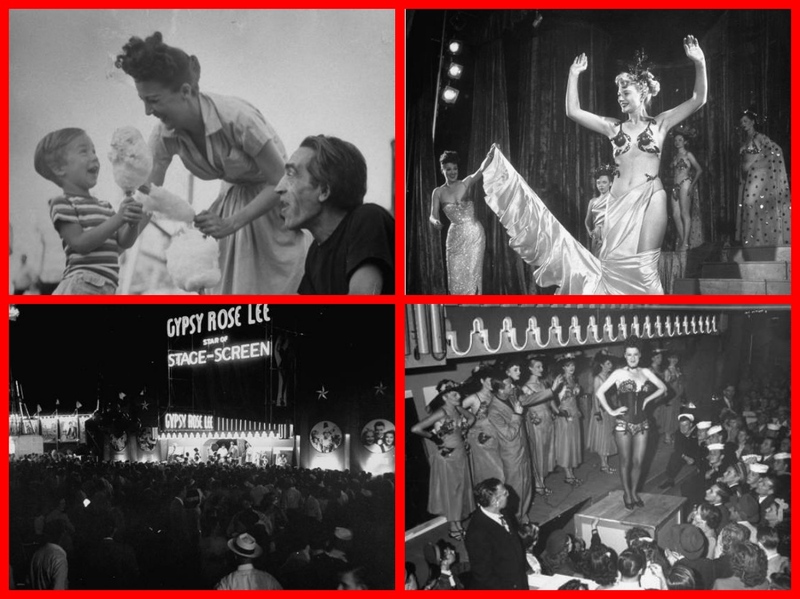 And so a star was born, and renamed Gypsy Rose Lee. It went ahead. Lee sat in the stalls muttering “No zip, no zing” as Sandra Church, who was playing Gypsy, attempted to remove her clothes. Merman had to strip too, in a scene where Rose proves that anything Gypsy can do, she can do better. When Jacqueline Susann heard that “the Merm” was having trouble bumping’n’grinding, she put on her Fudge Farrell bikini, showed up at Merman’s Park Lane Hotel room and gave her a private master class. The show – particularly Merman’s performance – earned rave reviews when it opened in 1958. Despite singing so hard she burst a blood vessel in her throat, Merman lost out to Mary Martin, in The Sound of Music, at the Tony Awards. She shrugged it off: “How are you going to buck a nun?” The bigger disappointment came when Jack Warner failed to cast her in his movie of Gypsy, instead giving the part of Rose to Rosalind Russell. “The broad can’t even sing,” ranted Merman. She wasn’t wrong. Laurents didn’t like the film at all. Nor did he approve of the Bette Midler remake. “It was styleless,” he complained. “And she … was so scared of the part, she fell back on her own tricks, devices, and shtick. She wasn’t Rose … [she was] Norma Desmond gone mad.” His favourite Roses were the two he himself directed on Broadway – Tyne Daley and Angela Lansbury. The musical ends with Lee enjoying her stardom, and breaking free from her mother – something the real Lee never managed. Rose died of cancer in 1954, screaming: “You’ll never forget how I’m holding you right this minute, wishing with all my heart I could take you all the way down with me.” When Lee was diagnosed with cancer in 1969, she called it “a present from Mother”. She followed Rose in other ways: both women married three times (although Lee broke new ground by having a chimpanzee as ringbearer at one of her weddings), and neither found happiness in love or in their careers. Lee tried everything, writing two mystery novels (The G-String Murders, and Mother Finds a Body) and a flop of a play, The Naked Genius. She ran a quilting circle. She hosted a TV show. She had countless pets, including cats, turtles, guinea pigs and Chinese crested dogs. But she never managed to get out of burlesque. In Gypsy and Me, her son Erik Lee Preminger portrays a very different woman from the star who, when raided at Minsky’s, taunted the police with the words: “I wasn’t naked. I was completely covered by a blue spotlight.” By the late 1950s, he wrote, his mother hated it all. “I’m 42,” she would cry. “Too old to be taking my clothes off in front of strangers.” She almost certainly didn’t realize that in fact she was 45. Previous: Home Line’s OCEANIC was one of the most beautiful and successful cruise ships of all times.